about this book: This is a story about the Cuban Revolution and the events during 1959-1960 that brought a totalitarian dictatorship under Fidel Castro. The author describes family life under the increasing political, economic and cultural repression in Cuba until leaving Cuba in 1966. A narration is provided of how Fidel Castro secured power during the early days of the Revolution, until he cancelled elections and a free press by mid-1960. The author describes Castro's system of political apartheid. depriving those not aligned with the government from access to more food, better healthcare and access to a college education. Significant events such as the Anti-Castro Rebellion of the 60's, Bay of Pigs and the Missile Crisis are covered. Controversial issues such as Castro's justice system, his neighborhood watch committees, Castro's prison system, his interventionism in the Third World, and Castro's unwillingness to reconcile with America are discussed. • Who are the primary readers for your book? Anybody interested in learning about the Cuban Revolution and life in Castro's Cuba, whether a curious American or English speaking descendants of Cuban immigrants. • What inspired you to write this book? On one hand, the curiosity by many Americans about life in Cuba and the Revolution. On the other, my older kin supported a pro-democracy reformist Revolution, but two of them wound up in prison after Fidel Castro cancelled elections, free expression, and independent labor unions. • How did you come up with the title? Actually thought of naming it Betrayed Revolution, but Trotsky beat me to it! 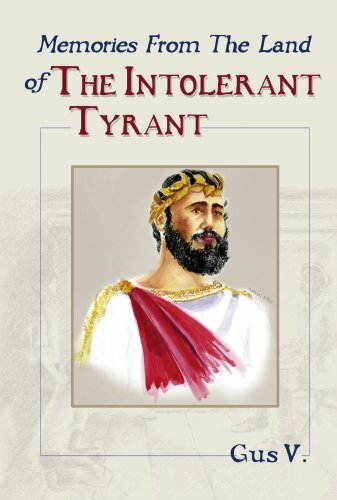 The current title (Memories from the Land of the Intolerant Tyrant) was my second choice. • Why did you choose this cover? Fidel Castro was an admirer of strongmen in classic history (e.g. Alexander The Great, Julius Caesar, etc), thus his portrayal as a roman tyrant. • What was the hardest part of writing your book? Read over 30 books (about 10,000 pages on Cuba, The Revolution, and Fidel Castro) that were used as reference material. • Did you learn anything from writing your book and what was it? It helped me organize and present my knowledge of the Revolution and life in Cuba. • Do you have anything specific that you want to say to your readers? If you want to know about the Revolution and life in Cuba, this is your book! Good book, reflecting in its story the disillusionment of folks that supported the Revolution, a couple of them finding themselves jailed about a year after the power hungry Fidel Castro.